An early implementation of a Photo Archive OS server. Something I have been toying with for a while now is to concept of creating a ‘Photo Archive OS’, based on my Photo Archive script designed for use on web servers. The script already implemented is currently under review for updates and improvement. Behind the scenes alterations to improve loading time of albums without current thumbnails. PHP script automated by CRON to generate thumbnails during the night. Inclusion of download link to save a copy of the ‘full’ image via the image browser. Ability to upload videos of certain formats, to be played via a HTML5 video window. Option of choosing imagemagick or PHP GD for thumbnail creation. At present the Photo Archive script is designed for creating small web based galleries. As an amateur photographer with young children (i.e. hundreds of photos to sift through to find the one I want), I like the idea of a ‘NAS’ style server designed purely for archiving, sorting and searching for photos. At present I have implemented a basic version of Photo Archive OS using a Raspberry Pi model B (the original Pi B). I am currently awaiting delivery of a Raspberry Pi 2 model B (900 Mhz quad-core ARMv7, 1GB RAM) which will be much better suited to the high demands of converting large quantities of images to thumbnails. Photo Archive OS doesn’t stop there though, for a user who is experienced at maintaining a web server this approach is suitable, but to create an open architecture allowing users without server management experience to maintain their own home Photo Archive will require more work. A simple LAMP stack for a Raspberry Pi 2, most likely based on Ubuntu for the wider range of wireless drivers on tap. The latest version of Photo Archive, pre installed at the root level of the HTTP server. the ability to mount a hard drive (including updating the fstab) over the /var/www folder. access to alter the sFTP account password (synced to the admin panel password). settings to change the method of thumbnail creation (at page load, via cron [set time], both or thumbnails disabled). settings to change port numbers for services such as SSH, sFTP, admin panel. SSH server for advanced users and troubleshooting, root access will be disabled. sFTP access, due to it’s security and existence within the already implemented SSH server. A raspberry Pi 2 board (implementations may be available for the original Raspberry Pi board, although image processing can be a little slow. A 4GB micro SD card, suitable for use as the root partition. A USB wireless card (optional, for those who wish to have a wireless photo archive). USB to SATA adapter, due to the limited size and speed of microSD cards an external hard drive would be recommended. Suitable SATA (or USB) hard drive to act as the Photo Archive drive. With a lot of University work being required at present this may take a little while to implement into a usable operating system. But plans are in place. I’m using Photo Archive in my project “pi-imgtank”, see https://github.com/bablokb/pi-imgtank. I’ve added a minor tweak to the code (directories are sorted in reverse order). The project implements most of the features you describe in this post. Thanks for providing Photo Archive! Sorry for the delay in my reply, life has become a little hectic this year! I’m glad to see that the photo archive has been used in other projects; especially in a project that I have been toying with for a while now. The Pi I had was running a modified version of the Photo Archive which resembles the basis of the next iteration with other features such as video playback within a lightbox and links to download the original hi-res files. As life has managed to get in the way this year I’ve not managed to finalise the next release, but with a touch of luck things are calming down now so I should have time to work on it again soon. 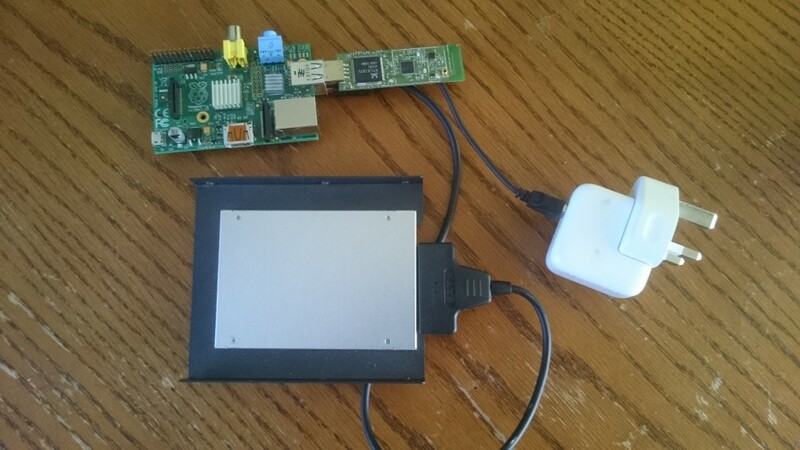 I will have to setup up the Pi 3 with a hard drive attached and check out your work on the pi-imgtank.